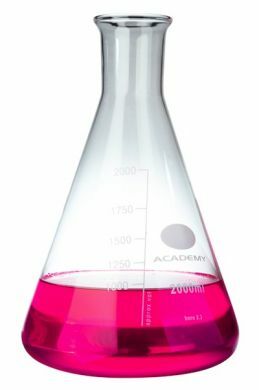 This huge 10 litre conical flask is often used in bars as a trendy decanter or beer pitcher. It is made from tough and heat-resistant borosilicate glass which is similar to Pyrex. 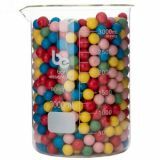 Conical flasks are designed so that the liquid contents can be swirled or stirred without spilling. The narrow neck reduces the loss of evaporating contents if it is heated. NOTE: Product is different to the image on our website. Diameter of neck (Outside Rim): 55mm. Diameter of neck (Inside Rim): 43mm. Graduations: 1000ml, 1500ml, 2000ml, 2500ml, 3000ml.